Taika Waititi’s new movie, Hunt for the Wilderpeople is so much fun, and guess who makes a pop-up apperance: Rhys Darby!! Murray forever!! I love Demetri Martin and thought his movie Dean was super cute, but he broke my heart when he failed to show up for the screening. Alright I’m calling it, I like the dress. What do you think Jay? Funny you should ask because I actually was wondering about it an awful lot. Does it look…crocheted to you? Hard to tell but I think I like it. I’m glad you liked this! I was sold based on the trailer alone. I love Michael Shannon and Kevin Spacey. Well then it’s a no-brainer for you. Look forward to this one. Thanks for the great coverage from Tribeca. Amazing story and surprising cast! I’m all shook up. The real incident sounds strange, to say the least, and everything I’ve heard about this film sounds even stranger. I want to see it simply to see how nutty it is. Your review has only enhanced that feeling. Great job! I had no idea they’d made this into a movie. Too funny. I know. He really works the anti-drugs angle with the president, and of course we all know his dirty little secret. 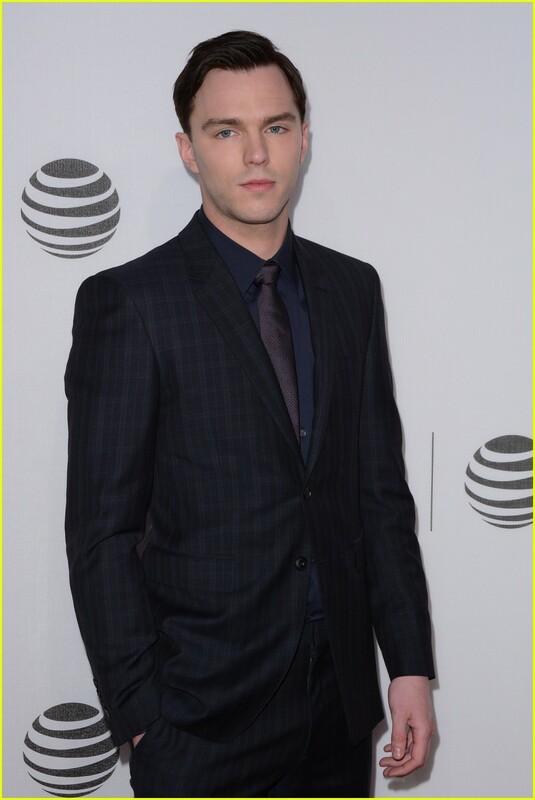 Nicholas Hoult at the premiere of Equals. I believe this one was at TIFF all these many months ago! Still making the circuit. Saw it today – not bad at all, but maybe a little redundant. How long is the movie? It just doesn’t seem like something that would be two hours. This sounds great! A like a good fictional Elvis tale. My favourite Elvis was Bruce Campbell in Bubba Ho-Tep (seriously brilliant flick, I reckon – always hoped they’d get ’round to a sequel) followed by Val Kilmer in True Romance. Sounds like Shannon will get added to that list! Wow, looks like you had a blast. I like that blue dress too!!!! I love that story, and I love Elvis. I can’t wait to see this!